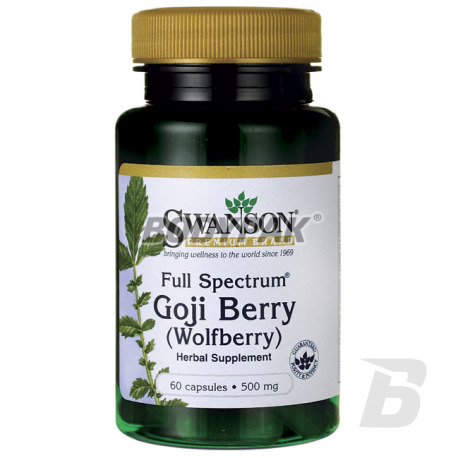 Health & BeautySwanson Full Spectrum Goji Berry [Wolfberry] 500mg - 60 kaps. Advanced blend of natural extracts and lutein, so titrated doses up to support the proper operation and the health of your eyes! No component did not appear by chance - only the highest quality active ingredients guarantee maximum efficacy! Olimp Gold Luteina - 30 kaps. Ostrovit Lutein Forte - 60 tabl. 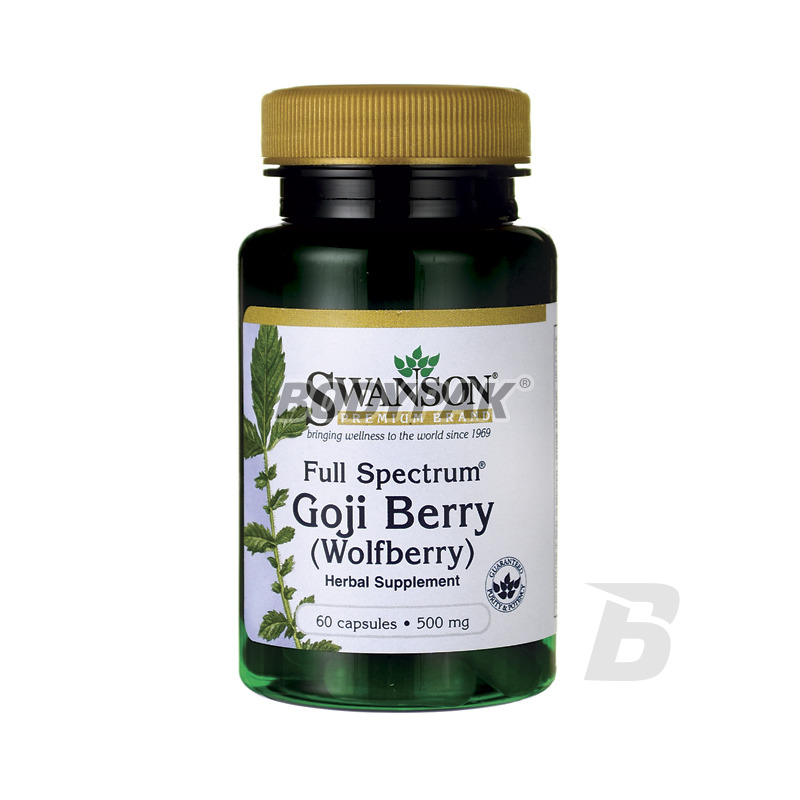 Swanson Full Spectrum Goji Berry [Wolfberry] 500mg - 60 kaps. Swanson Full Spectrum Goji - Goji berries (aka: the berries, goji berry, goji, deadly nightshade) contained in the US dietary supplement is an excellent conditioner for everyone. 21 loyalty points Your cart will total 21 points that can be converted into a voucher of 0,84 PLN. Goji berries (aka: the berries, goji berry, goji, deadly nightshade) contained in the American diet supplement Goji Berry Swanson Full Spectrum is an excellent conditioner for everyone. The product brand Swanson is rich in vitamins (especially vitamin C), minerals and amino acids. A strong and effective supplement shows health-related effects on the whole organism. Swanson Full Spectrum Goji berry promotes health and improves sporting achievements. Regular use of conditioner rejuvenates cells and regulates the cardiovascular system and improve immunity. UNS Ashwagandha [Extract 7%] - 90 tabl. Swanson Barley Grass 500mg - 240 tabl. Powdered barley from young barley in the form of capsules. The 100% natural product, which is a valuable source of amino acids, aids the body in cleansing of toxins and even contains natural minerals! Swanson AssuriTEA® Prostate Support Formula 500mg - 60 kaps. NOW Foods Cod Liver Oil 1000mg - 180 kaps. Olimp CARDIOslim - 30 kaps. Swanson Magnolia Extract 200mg - 30 kaps. Olimp Anti-OX Power Blend - 60 kaps.